Lit-a-Sure provides a lean solution to improve packaging line efficiencies and allows more room for the information that doesn’t fit on the outside of the carton. Filling out the form below will allow you to see the actual cost savings that Lit-a-Sure provides. 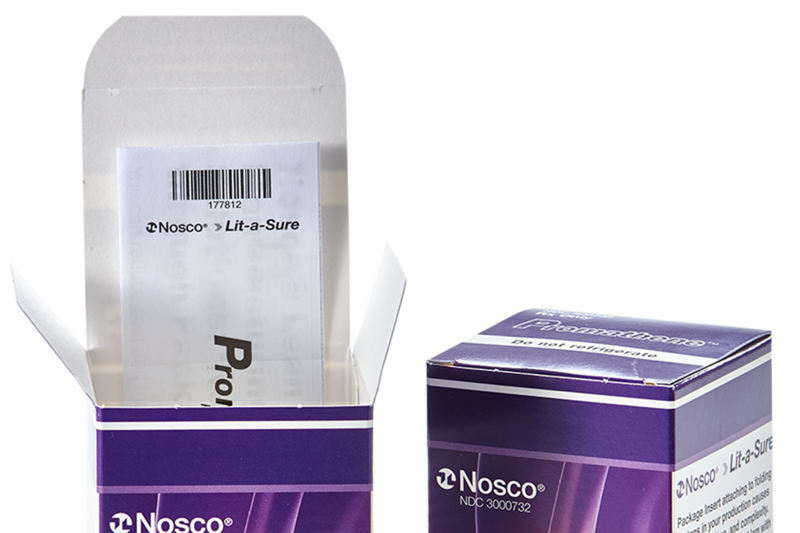 Lit-a-Sure is an efficient packaging solution in which Nosco combines the carton and insert for you. This enables increased line speeds, reduced complexity and the assurance that every carton has the correct insert attached. Lit-a-Sure reduces incoming quality inspection, purchase orders/invoices and number of SKUs – all by 50%. Interested in learning more? Click here to download our whitepaper. Learn how you can save by attaching your inserts to your cartons.